This is a great book for readers who are into learning about history, but it can also be great for those whose goal is just to have a good book to read. 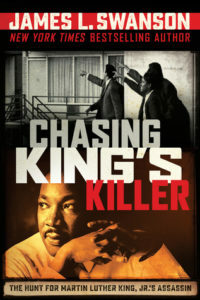 If you have read other titles by James L. Swanson like Chasing Lincoln’s Killer you will definitely like this book too. This specific type of book because of the lexile level (1010), I would recommend it to readers in the grades between 7th and 9th. At this grade level, students will have more knowledge about what the main topic about this topic is and will enjoy it even more!